The Faiez Serraj PC is to allocate LD 30 million to the state Mills Company in order to resolve the bread flour shortage (Photo: Archives). Presidency Council head Faiez Serraj announced at yesterday’s Cabinet meeting that he was urgently allocating LD 30 million to the state-owned Mills Company in order to solve Libya’s current bread shortage. The Mills Company (Matahin) mills grain to supply Libya’s bakeries in order to produce bread. The grains are subsidized by the state in order to keep bread prices down. 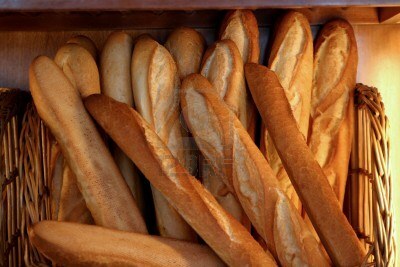 However, bakery bread prices shot up last week to one diner for three loaves. Pre the 2011 revolution adiner would buy 20 standard baguettes. It will be recalled that there has been much corruption in the distribution and use of subsidized flour, with the existence of thousands of fake or ghost bakeries that only exist on paper – used as a front to receive subsidised flour which is sold on to the local market for use by pizzarias or confectionaries or smuggled abroad to neighbouring African countries. To this end, the Presidency Council’s Ministry of Economy decided in May that payments for subsidised flour for bread would paid for by bakeries through e-payments. The Bakeries’ Union estimated in May that there were 1,200 ghost bakeries, the Ministry had reported. The phenomenon is leading to a shortage of flour, bread and fuel, as bakeries also receive their quota of subsidised fuel. The Ministry of Economy had also reviewed security procedures for transporting flour and assured that grains will be imported and milled locally. Milling grains locally offered better value and also benefited other industries such employment, local mills and animal feed, the Ministry had reported. The Bakeries’ Union estimated that Libya consumes about 800,000 tones of flour distributed to about 5,500 bakeries.